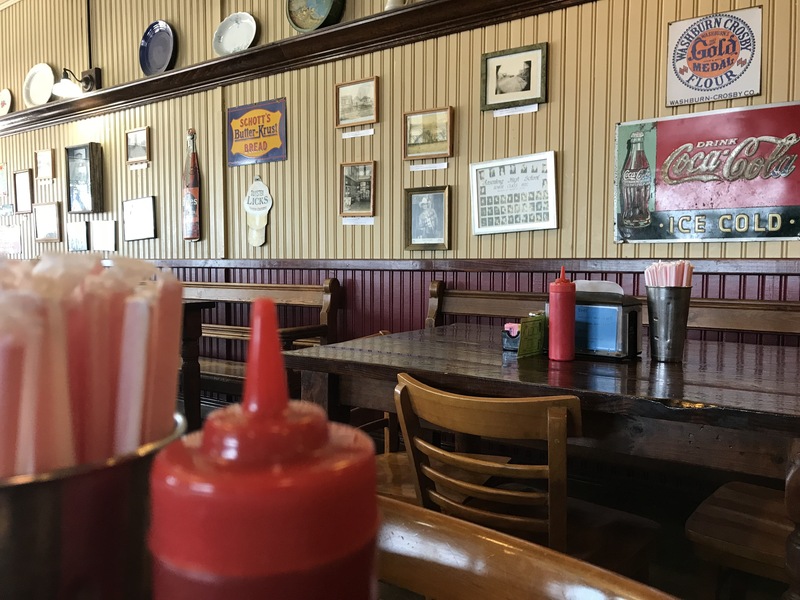 I love small town diners — perhaps because of the nostalgia but certainly for their food and all that these local eateries mean to the life of a community. I prefer dining at places where I know it will take a while for my food to arrive and I can fill the waiting time with good conversation. 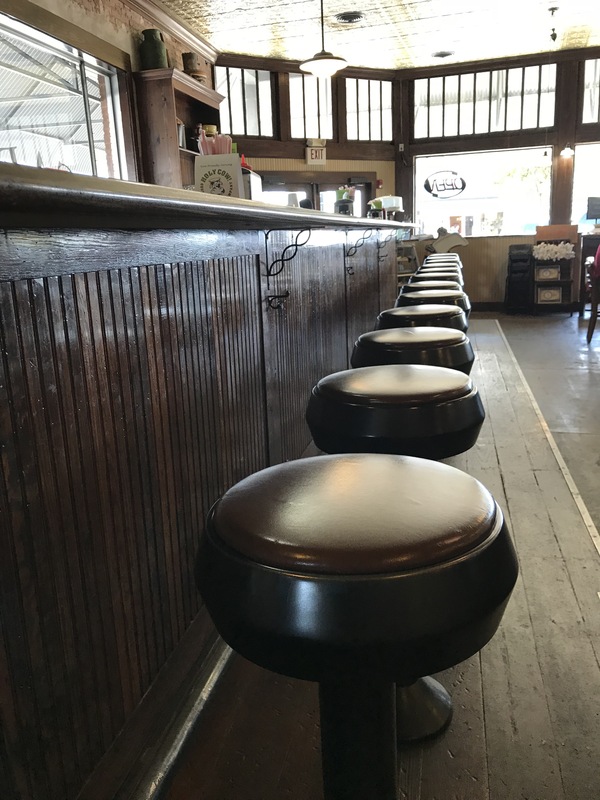 As the pace of life grew increasingly faster, old-fashioned diners and cafes began to disappear from the culinary landscape. As for their replacement, we got faster service but not necessarily better food or a better dining experience. There is something to be said about eateries where things move just a bit slower. 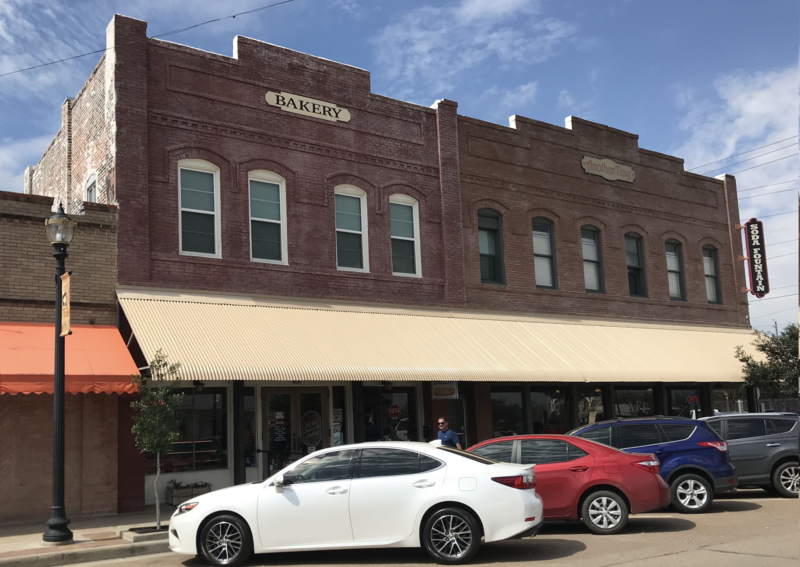 There is just such a place in Rosenberg, a small town just outside of Houston. Appropriately named Another Time Soda Fountain and Cafe, walking through the doors of this place is like stepping into a time machine. From the decor to the menu, this is the kind of place that just sort of hugs your heart and mind when you walk in. This place has it all — amazing hamburgers, made from scratch meals, malts made with real ice cream, banana splits, and an array of delicious desserts. They even have soda jerks that will prepare you a fountain drink the way they used to back in the 50’s. And, to make your dining experience even more memorable, the cafe is appointed with some pretty cool period decor. As I always do when I try out a new place, I ordered a bacon cheeseburger, onion rings, and a cold glass of tea. The menu even states, “Please allow extra time for grilling.” I like that. I was not in any hurry and really wanted to soak in the atmosphere. Once my burger arrived I cut it in half. Those of you who follow my blog know that I have this thing about burger strata. I just have to see what things look like under the hood and how a burger is put together, layer by layer. And wow, this burger had a big ol’ thick helping of meat with the bacon cooked to crispy perfection (just the way I like it). I believe that the first bite always tells the story. If the first bite is bad then there is no reason to believe that the bites that follow will be any better. But if the first bite is good —oh my soul — then you can count on every bite that follows to keep a smile on your face. My burger immediately passed the first bite test — really good. Everything about this old-fashioned burger was right. From the grilled bun to everything else, this was one delicious burger. I eat slow anyway, but I ate this burger even slower than usual because I wanted to savor every bite. My mountain biking friend who was dining with me asked me if I have ever eaten a bad burger on my quest to find the best burgers in the Lone Star State. “Absolutely,” I replied. 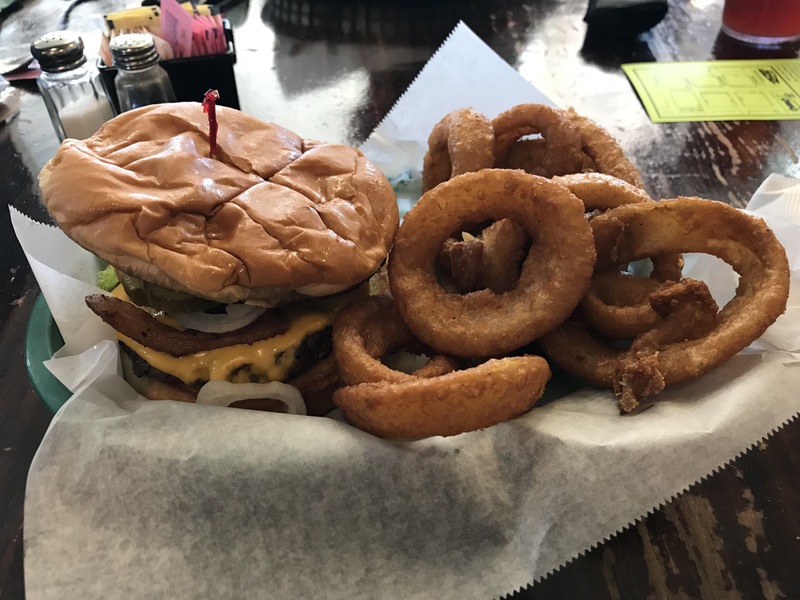 “But, this is not one of those burgers that is big on bragging and a failure on flavor.” This burger passed the test and is now on my list of burgers that I can recommend without hesitation. 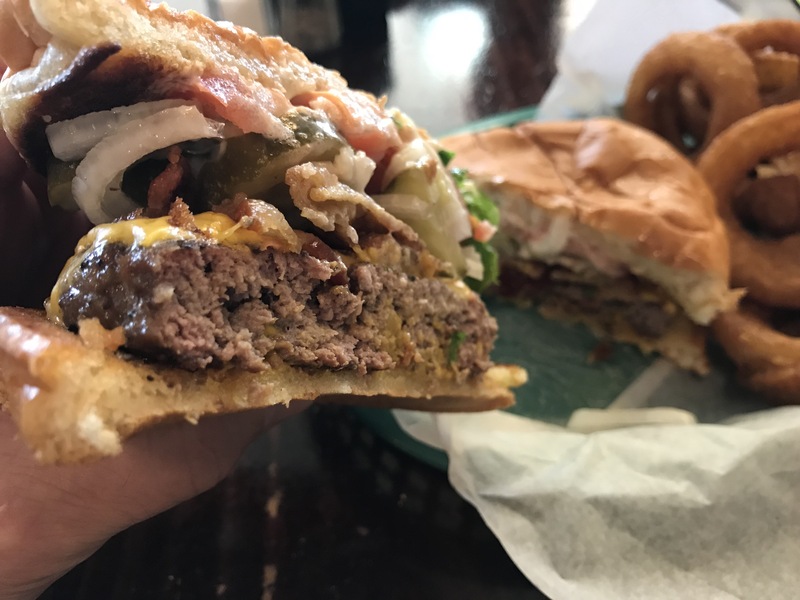 You may live a long way from Rosenberg, but I’ll bet you don’t live a long way from a good burger near you. As long as you have to eat, make eating more of an adventure by searching for and trying places off the fast food highway. Remember to eat slow and have meaningful conversation around the table — just like it was done in another time. 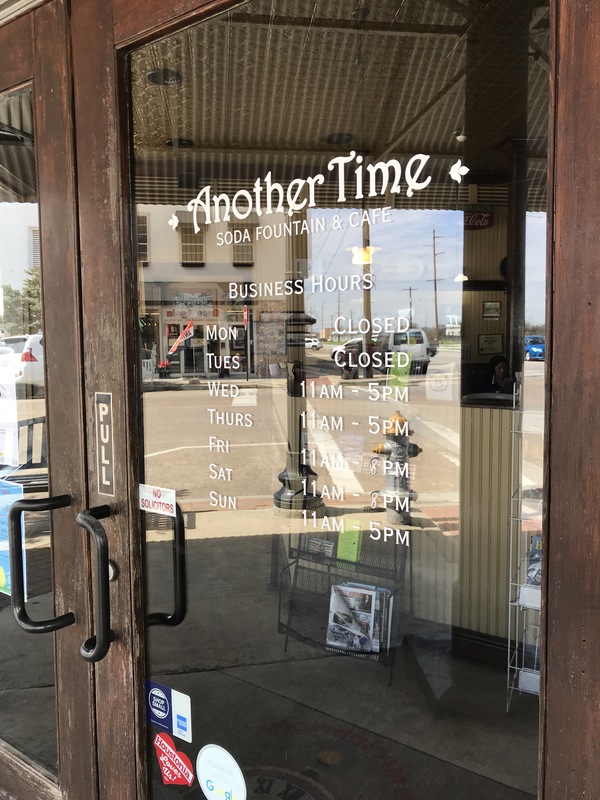 This entry was posted in Places To Eat and tagged Another Time Soda Fountain and Cafe, Hamburgers, Rosenberg Texas. Bookmark the permalink. O: That was such a neat experience. Thanks for the treat and allowing me be part of this experience. 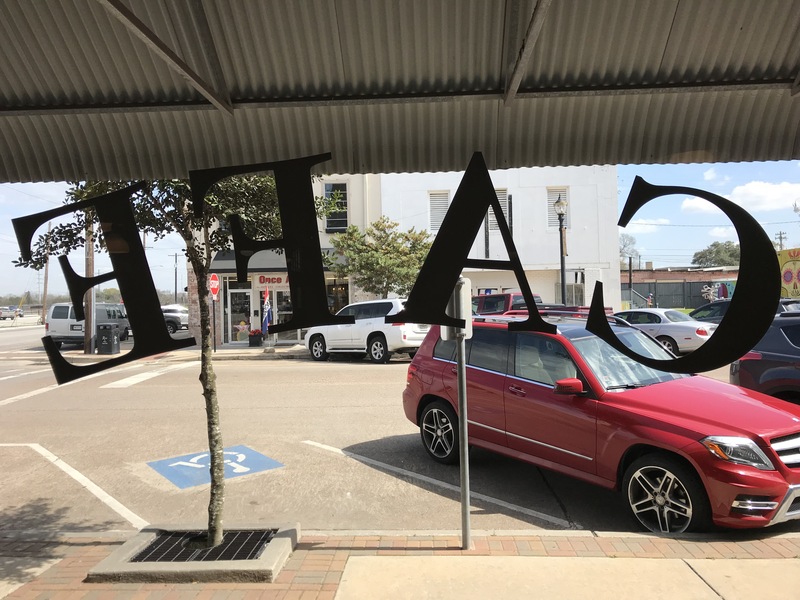 Thanks for the write up on another time soda fountain! We’ll be sharing your blog on our page! Beautiful pictures! So glad to have found Another Time. We need more places like this that draw family and friends together around the table. Look forward to returning to enjoy another meal. Bred, born &raised in Richmond. I have eaten there many times, also know the owner real good friend and a great lady. Loved this place, Bob. Plan to eat there again. This place is definitely a Richmond treasure.